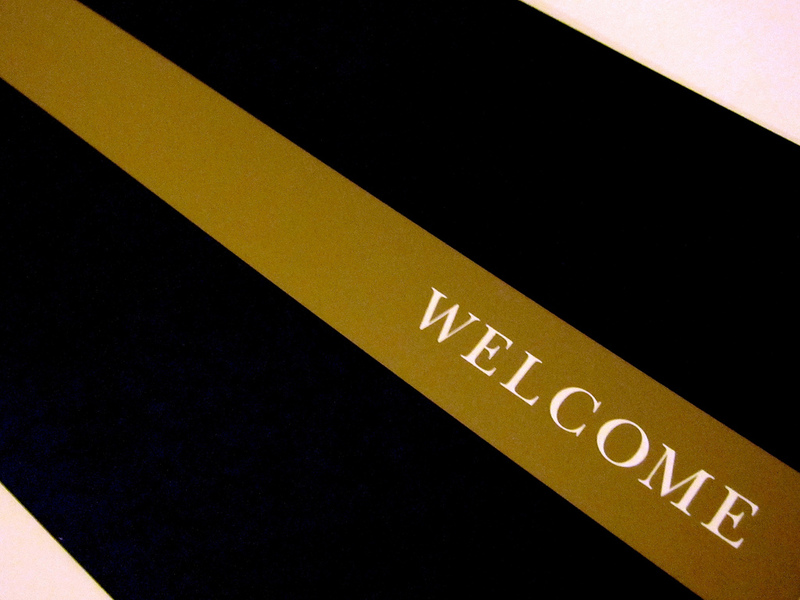 I’ve been receiving a few membership renewal or welcome packs in the post recently, and nothing makes you feel ‘welcome’ into a loyalty program like a bit of membership paraphenalia… it’s like you’ve finally arrived. And then generally about 2 minutes after you’ve opened it that feeling disappears, but it was nice while it lasted! 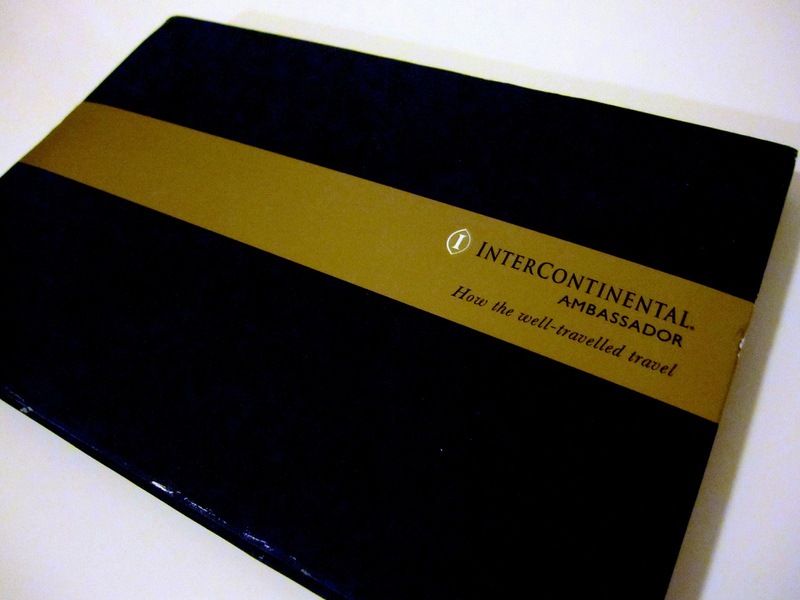 First up, here’s a few grabs of the welcome gumph you get from joining InterContinental Ambassador, which paid for itself during our recent around the world trip. It took about 6 weeks to arrive in Australia after joining. There we go – exciting, right? 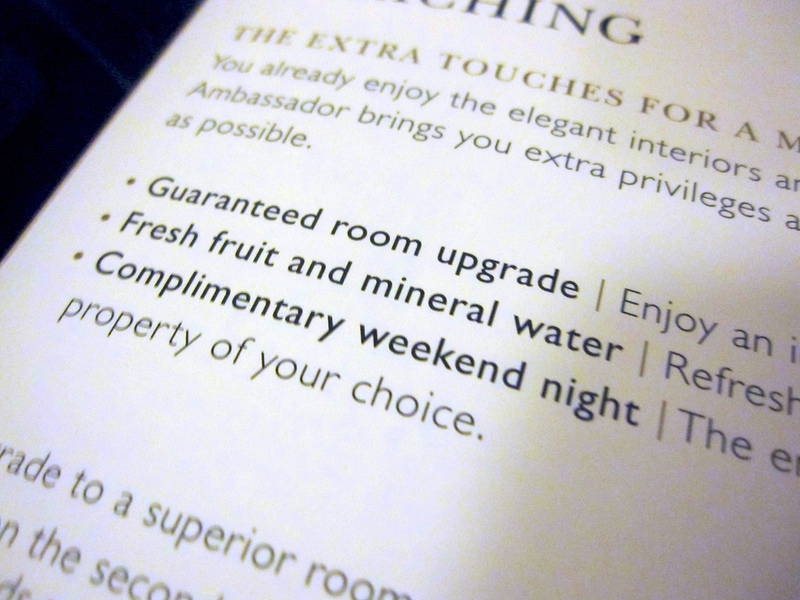 More to come from Qantas Gold and, somewhat obscurely, from the Priority Privilege program as well. 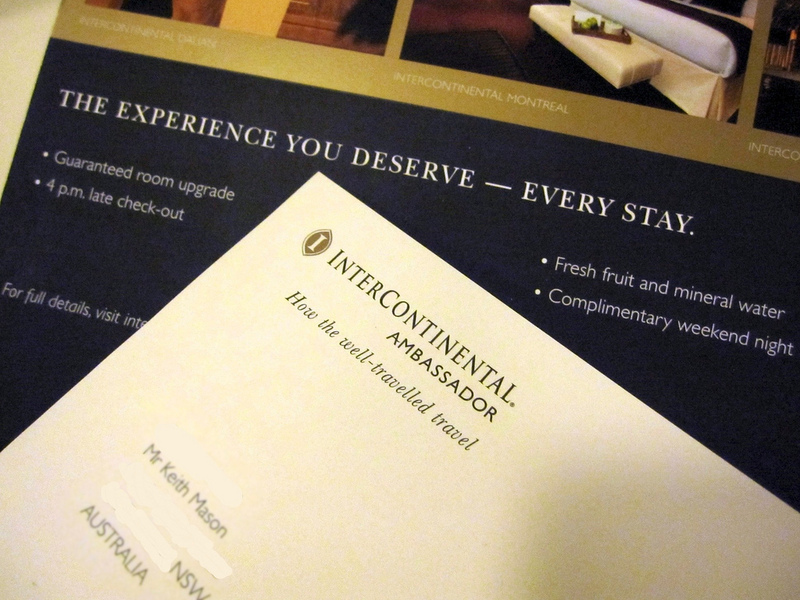 So what exactly is an ‘eligible stay’? 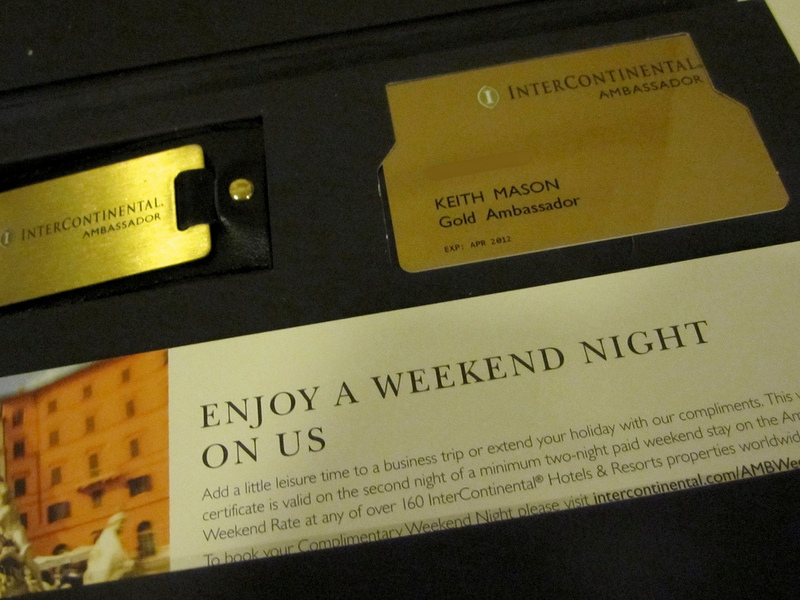 Hey Jon – in what context, for the weekend night certificate?